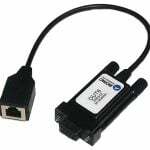 Mobita systems include the hardware unit and choice of ConfiCap, and are fully integrated with AcqKnowledge software for 32 channels of biopotential data with 3D accelerometer and trigger channel. The flexible Mobita® system fits in the palm of your hand and is ideal for a variety of applications, including Psychophysiology, Neuroscience, Sleep Studies, Brain Computer Interface, Exercise Physiology, Gait Analysis, Ambulatory Monitoring, etc. 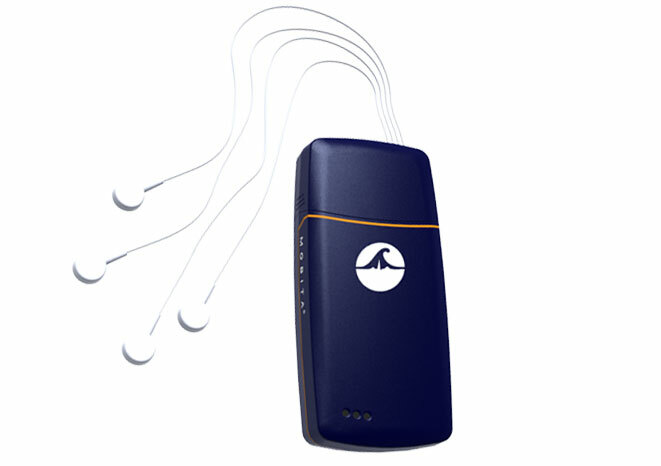 The Mobita system operates as a standalone wireless biopotential recording system or can be fully integrated with the BIOPAC MP160/150 System, providing access to a wide range of wireless and tethered physiological signals. The Mobita can be configured to record 32 channels of EEG, or any combination of EEG, ECG, EOG, EMG, and EGG signals. When the Mobita is combined with the MP System they are integrated through AcqKnowledge software, which means that one interface controls both devices and the signals are all synchronized. Interfacing to stimulus presentation systems and video is also handled through AcqKnowledge to provide a seamless solution with a wide range of automated analysis capabilities. 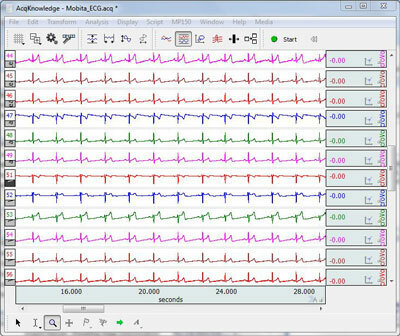 Powerful automated analysis routines for ECG, HRV, EEG, EMG, EGG, and many more!